Award-winning and best-selling author Kristin Hannah lives on Bainbridge Island and frequently uses Pacific Northwest settings in her books. Her stories are often set in a specific area such as the Olympic rain forest (On Mystic Lake), the Oregon Coast (Distant Shores) or the Hood Canal (True Colors). Hannah's most recent book is Home Front (2012). Leading an idyllic life on the shores of Liberty Bay in Poulsbo, Washington, Michael and Jolene Zarkades seem to have it all: a solid dependable marriage, exciting careers and children they adore. But after twelve blissful years together, the couple has lost their way. They are unhappy and edging towards divorce. Then an unexpected deployment tears their already fragile family apart, sending one of them deep into harm's way and leaving the other at home, caring for the children and waiting for news. When the worst happens, each must face their darkest fear and fight for the future of their family. This is an intimate look at the inner landscape of a disintegrating marriage and a dramatic exploration of the price of war. Home Front is a provocative and timely portrait of hope, honour, loss, forgiveness - and the elusive nature of love. 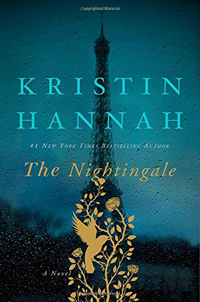 For more information on the author and a complete bibliography of her works please visit http://en.wikipedia.org/wiki/Kristin_Hannah or http://kristinhannah.com.